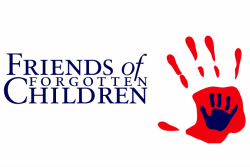 The holiday season at Friends of Forgotten Children starts in the fall, with distribution of the Annual Thanksgiving Baskets donated from local groups and organizations. Each basket is filled with food items for an entire Thanksgiving meal and are given to clients who sign up at our facility. Friends of Forgotten Children also collects and distributes holiday gifts for children and teens throughout greater Concord. Over the past 45+ years, nearly 40,000 gifts have been generously donated by members of the community, local businesses and social organizations and then distributed to children who would likely go without gifts during the holidays. FOFC is also one of the few local organizations that remembers our senior clients at the holidays--providing extra food items and donated gifts. If you, your business, or your community group are interested in supporting local families during the holidays by adopting a local child's gift wish, coordinating a gift drive, or volunteering your time, please email us or fill out our information request form.